NYC, 02/22/2019, 1:00PM. 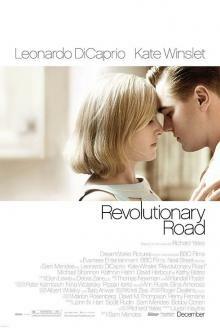 Revolutionary Road (2008): Three time Oscar winning drama with Leonardo DiCaprio and Kate Winslet. 119 min. Director: Sam Mendes. Revolutionary Road is the second on-screen collaboration among Leonardo DiCaprio, Kate Winslet, and Kathy Bates, all of whom previously co-starred in Titanic. The performances of DiCaprio and Winslet earned them a Golden Globe Award for Best Actor – Motion Picture Drama nomination and a Golden Globe Award for Best Actress, respectively, and the film was nominated for a further three Golden Globes, four BAFTAs and three Academy Awards, including a Best Supporting Actor nomination for Michael Shannon.